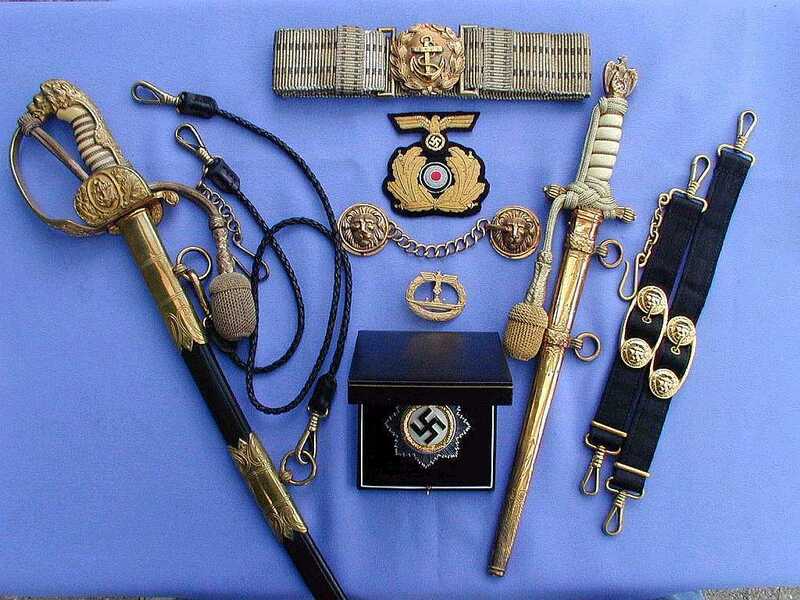 Listed below are "Theme" pictures which combine a number of 3rd Reich items associated with a particular organization or unit. Please select the image to view. 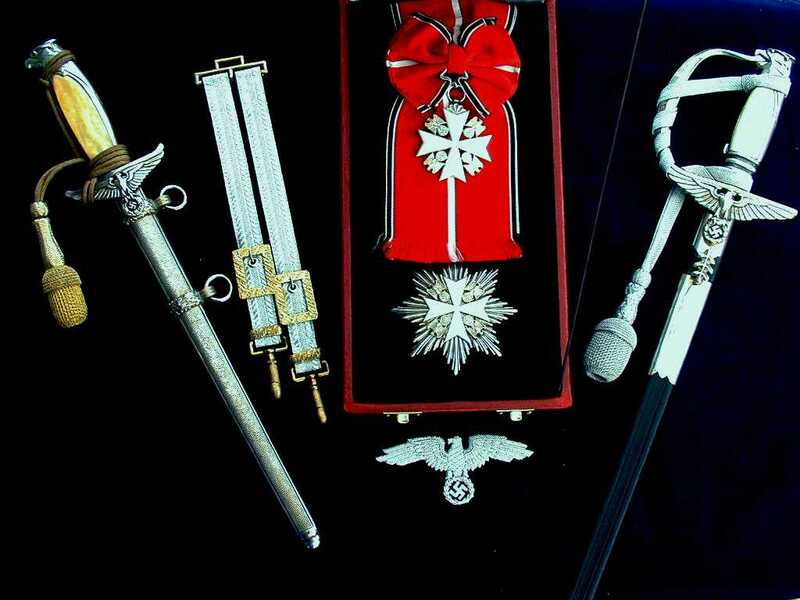 The theme on the left comprises a Diplomatic dagger and sword. 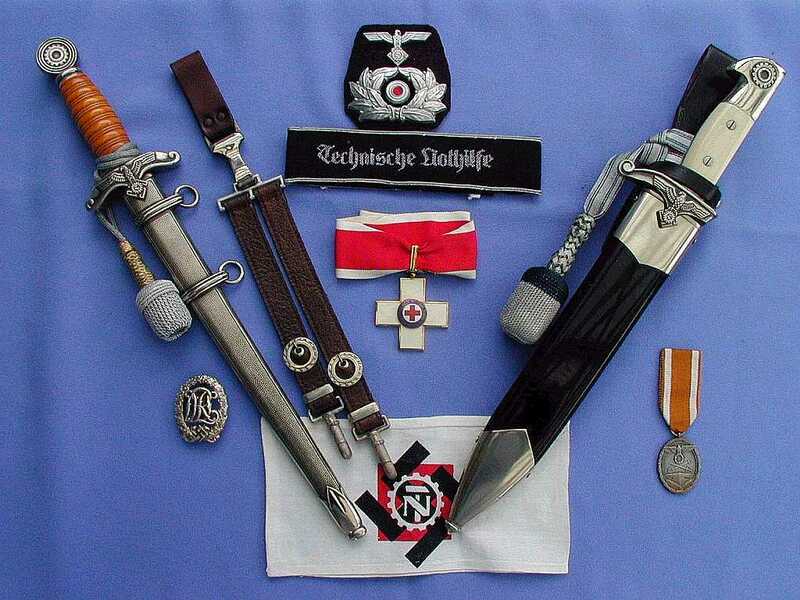 Also included is one of the rarest awards of the 3rd Reich. This award was only issued to 12 recipients, hence its scarce availability. The one on display is a museum quality reproduction. 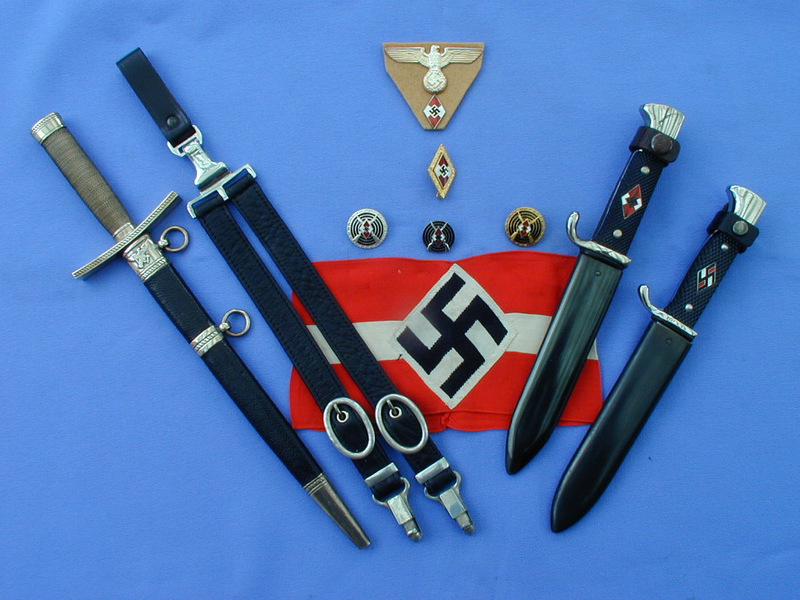 This theme displays the two Luftwaffe daggers, the early type 1 with the metal hanger and the orange handled type 2 issued in 1935. 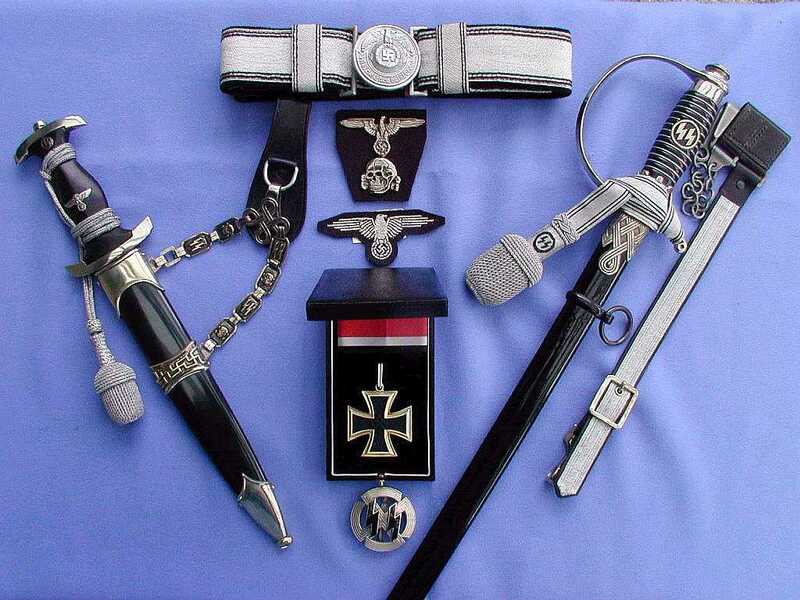 At the bottom of the picture is the Luftwaffe sword similar in design to the type 1 dagger. At the center is the Pilots badge. 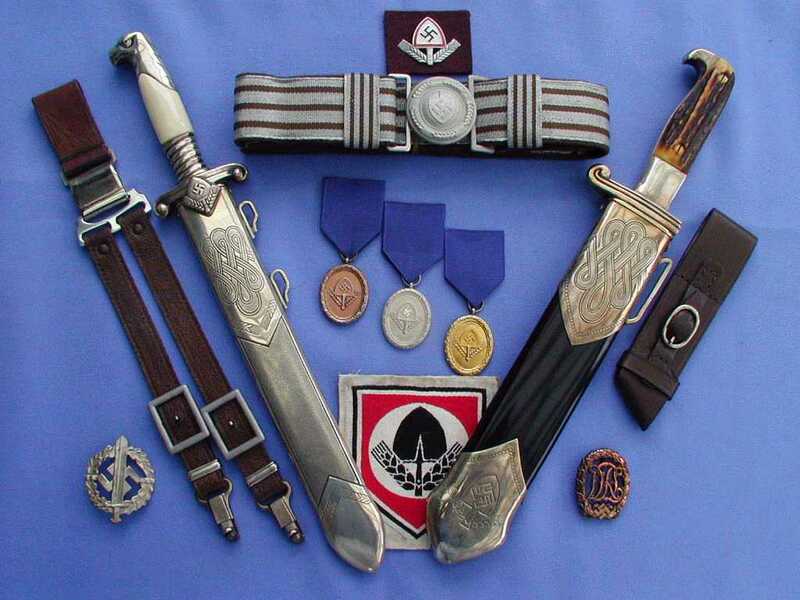 A range of SS items including a dagger, sword, belt & buckle plus a few awards and medals. A the bottom of the picture is a proficiency award. 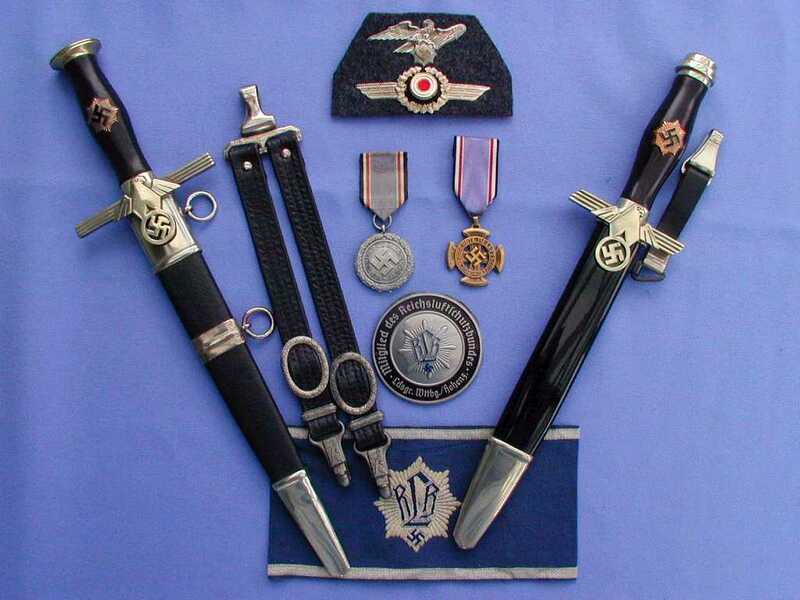 The Kriegsmarine daggers and swords were based upon more of a traditional look and feel. The dagger style changed little compared to the WW1 dagger. A number of awards and medals complete the display. A number of RAD awards with a RAD Leader and EM dagger. 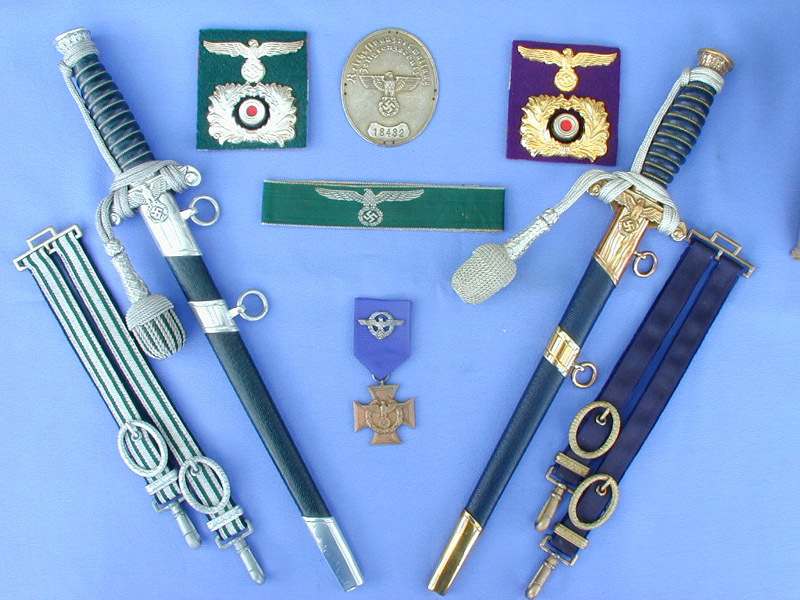 A display comprising of the an RLB armband, awards and the RLB dagger and knife. 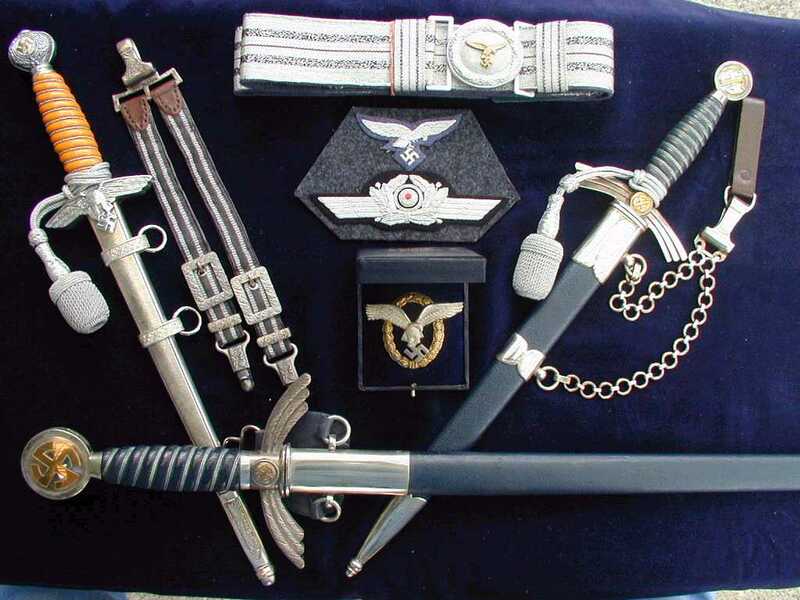 Daggers of a TENO Officer and enlisted mans Hewer plus some cloth related items. 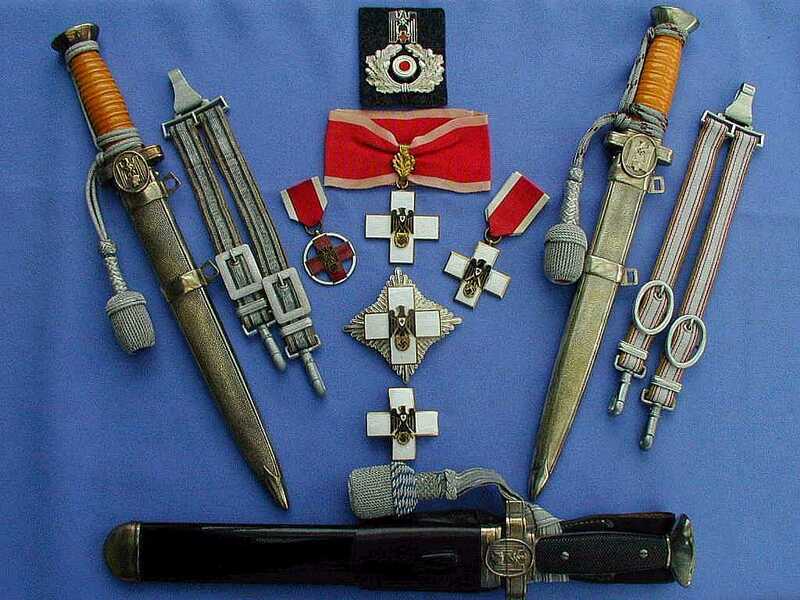 Displays of the RED Cross and Social Welfare officers daggers plus a fine collection of awards.